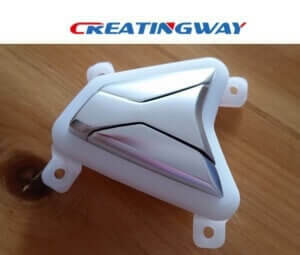 In the past, when we receive a project from customer of injection molding, customer always need wait for 1 month or more (depending on size , material , complication ) to see the sample by molding. And most of time, the sample need to revise for one point or more. It will take so much longer time and waste a lot of energy. When 3D printing comes out, it solves this problem in a good way to help our designer or engineering to decide their design and feature. The advantage of 3d printing for injection mold manufacturing main in rapid prototype and low volume production. What benefits we can get from it when we used 3D printing technology? As we know, 3D printing doesn’t require molds or special tooling. So we can produce customized products in this way which is quick and cheap. Customer does not need wait for a long time to see the sample. Usually, 3D printing takes one or several days to print the sample out. Customer can check structure and function easily. Before opening injection molding, we can use 3D printing to test the structure, size, and function first. If there are problems, designers will revise the drawing accordingly. After everything is confirmed, then it can be going into the injection molding manufacturing which will make the products go to the market faster. No designer and engineer can say the injection molding can be successful in one time. And if we meet the design failure, the cost will be expensive. But with 3D printing, we can produce multiple iterations in one time. It is really a good way for designer to open his mind to try new things and explore the limitations of the technology, no need to worry about the high cost for failure. As the time goes by, 3D printing will be playing more and more important role in the manufacturing. Though 3D printing could not replace the injection molding due to some high volume products, it is really playing an important role in the manufacturing. Making producing faster, exploring the full potential of the technology and so on. Firstly, 3d printing have SLA/SLS two main process used to our rapid prototype, the disadvantage for 3d printing is the prototype strength is not enough, which can’t make mechanical testing, only used for feature review, and appearance review to marketing purposed.